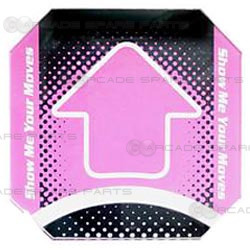 Dance Dance Revolution Floor Arrow (Pink). 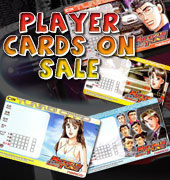 Contains 1 floor arrow step suitable for any version DDR machine. The floor arrow is made out of solid and durable acrylic material. Pink in color. Replacement DDR arrows are easy to install. You simply remove the triangular metal cover which secures the floor arrows to the dancing platform, then switch out the old arrows with the new arrows. Doing this is a quick and effective way to recondition a used DDR dancing platform into a "new" look.